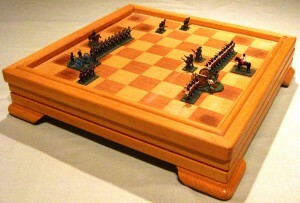 Robert Cordery and his portable wargames – I love it! 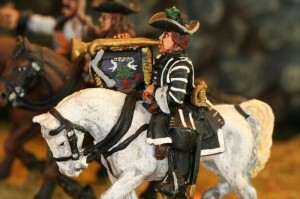 Do you really need miniatures to wargame? And if you do, then what exactly are you doing if you are not pushing model soldiers around a tabletop? While wheeling my trolley around Lidl (don’t give me that look – I happen to like their mayonnaise… and their crisps… and their beer… and their, well you get the point) I made a most interesting find. Wait! This is not a blog post about my grocery preferences, but rather the fact that I found an awesome wargaming product in Lidl’s aisles. Bedknobs and Broomsticks was one of my favorite movies when I was a child. Now I forgot exactly why, as I’m not musical type of guy, and those effects inside the movie were pretty lacking even for the ’70s.